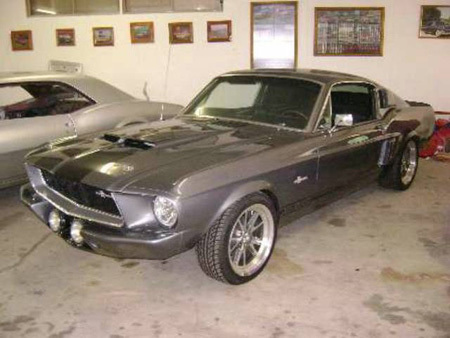 Eleanor replicas on ebay are no big deal these days, just see here. But you don’t often see them on ebay in Australia. I previously reported on one that was up for sale. Not the best car but good to see one in Australia. Now another has popped up. Again this one is kind of a half-replica. Parts of the kit, the paint and the wheels. By the look of it the lower valance has been used but not the upper front valance and for this reason they have used a standard hood. Keep in mind that the ‘Eleanor’ hood is longer than a normal 67 hood. So without the ‘Eleanor’ valance the Eleanor hood would stick way out over the front.